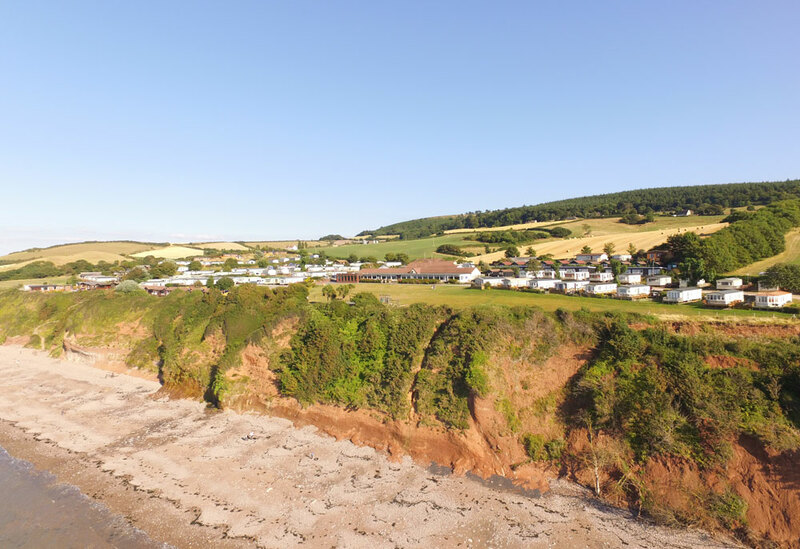 This 2005 Willerby Winchester at St Audries Bay is located on “Sea Spray 20”. This modern static caravan is well kept and offers great design and features. This open plan home is made very light by the number of large windows and mirrors. The light colour scheme and cherry wood provide warmth and create a cosy haven. The lounge has comfortable arm chairs and leather sofa to relax on. The room is surrounded with storage, so plenty of places to store ornaments, books and games. The dining area links the lounge to the kitchen. It comprises of a free standing dining table with glass top and chairs with a sideboard. The kitchen is very modern and includes the kitchen appliances. You will find a gas hob, microwave, an integrated fridge freezer and built in oven. The bedroom on the Willerby Winchester is large and has a large walk in wardrobe, en-suite WC and lift up bed – perfect for storage. The walk in wardrobe has plenty of hanging space and drawers too so you can bring all of your favourite clothes. The home comes complete with double glazing and central heating, side deck and parking space for one car.